They are expensive. Of course, there are brands that are more expensive but Beats headphones are ridiculously overpriced and overhyped. Here are three reasons why you shouldn’t buy or at least, reconsider buying a Beats headphone. A pair of Beats headphones is retailed between $100 and $500 but according to some experts, it actually costs the company a mere $14 to manufacture a single unit. Some may attribute this low manufacturing cost to the economies of scale. Regardless, the product remains expensive, especially when considering that there are other several headphones in the market that are cheaper and better. When rapper and producer Dr. Dre introduced the brand, he argued that music consumers are not really enjoying the full playback and listening experience because common audio products are prone to reducing the quality of audio recordings. Supposedly, his Beats audio products resolve this. But the problem with the products is that each does not have a stated technical specifications—including frequency response, driver diameter, max input power, sensitivity, and impedance. Providing these specifications are a standard practice for established audio manufacturers, especially for a consumer electronic device. Of course, you would want to know what you are actually buying. Another problem is the apparent build quality. Several products under the Beats headphones line look and feel as if they are made from cheap plastics. The on-ear paddings can feel uncomfortable because the are made of friction-prone material. However, build quality can be subjective. According to Whitson Gordon of Lifehacker, he initially thought that the Beats Studios headphone sounded good until he have tried other brands. His main problem with the product is that it has too much low quality bass that sounded loud and boomy. The trebles and midbass of Beats Studios are even worse according to Gordon. They sounded as if they are coming from inside a well. However, the audio quality of other models, including the higher-priced Mixr and Pro are better than Beats Studios. A review from CNET mentioned that the Beats Solo 2 is better sounding that the Beats Solo. It has a stronger and tighter bass and more balanced sound than its predecessor. Another review from the Time magazine has ranked 18 headphone brands from worst to best. Basis for the ranking revolved around two factors—75% expert reviews from CNET, Wired, TechCrunch, and PC Mag, among others; and 25% specifications and features. Nonetheless, the ranking revealed that Beats headphone products are placed at the 17th spot while Grando and Shure owned the second and first spots respectively. The Time magazine mentioned that Beats still has decent products. However, the problem about the higher price tags of their products is worth considering. Remember that there are alternative products that are cheaper and better. High profile celebrities from Lady Gaga and Justin Bieber to acclaimed producers such as David Guetta and sports celebrities including LeBron James have rallied behind Beats, particularly as endorsers. The have been seen sporting different variants of Beats headphones. Possibly, a considerable portion of the high price tags of Beats are appropriated to cover marketing expenses. 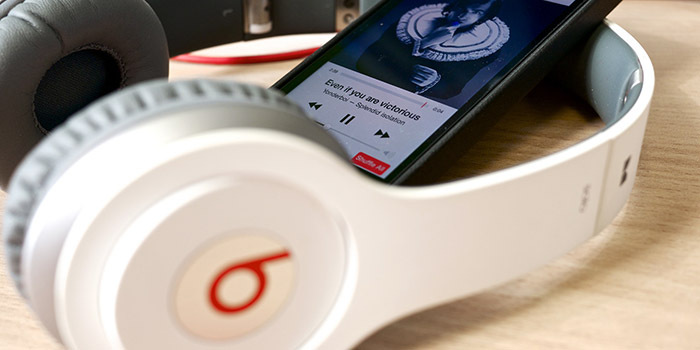 You’re probably paying more for the Beats brand and the image it represents. Critics, particularly audiophiles, have slammed Beats for its consumer-focused language and lack of technical terms. Although the company does not state how their headphones actually work, some speculations have shown that the audio technology is a combination of audio equalisation, audio compression, and audio amplifier. Beats normally boosts the lower and higher ends of the audio range. Of course, these are remained hidden in the public and consumers are left unaware of what’s in store for them when they buy a Beats product. The bottom line is, there are several alternatives to Beats headphones. However, this does not mean that the products under the entire Beats headphones line are terrible. At the end of the day, it all boils down to consumer preference. But it would be better to scout for alternatives and disregard the hype.